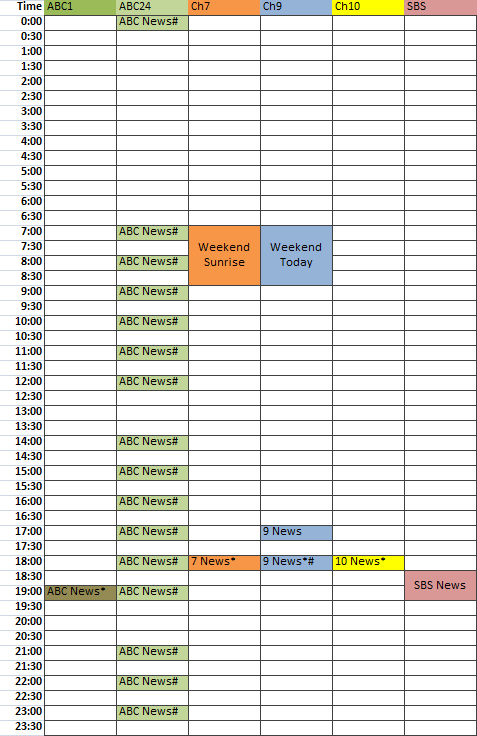 I was thinking that for news junkies like me, it’d be nice to have a quick reference to when it’s possible to tune into a news bulletin on free-to-air television. 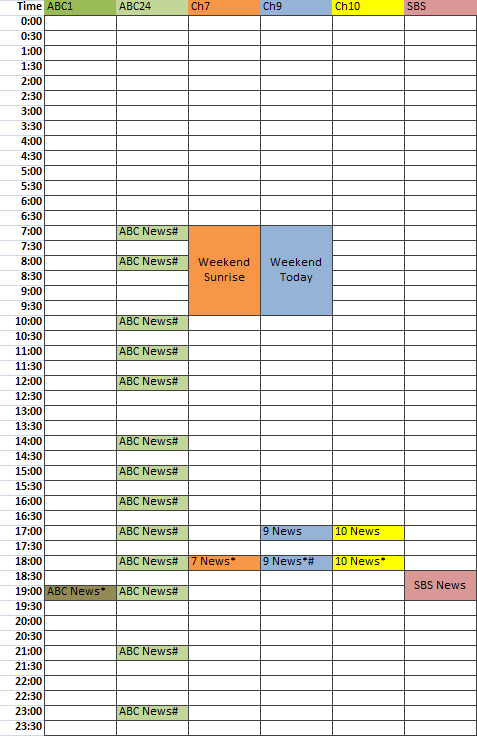 With ABC News 24, this is easier than ever before, but in fact there are numerous times when other channels air substantial (10+ minutes) bulletins when ABC News 24 is showing other things, such as The Drum. 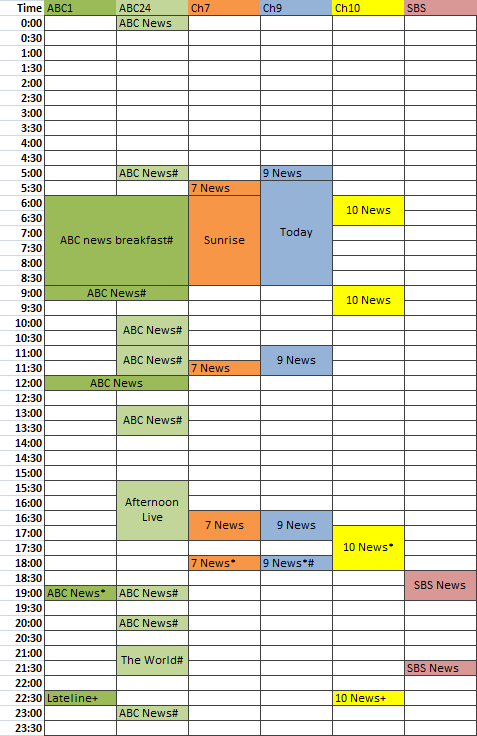 I’ve included shows like Today, Lateline and Afternoon Live which include a regular news bulletin, even though some of these are probably shorter than 10 minutes long. I’ve excluded non-Australian bulletins, such as the BBC News shown overnight on ABC News 24. See any errors? Let me know. I must admit to being a “local” news junkie and avoid national-based bulletins . Why hear about uprisings in the Middle East when there is a cat stuck up a tree in Melbourne? You include the tabloid morning shows on Sunday like Sunrise & Today but neglected the ABC’s Insiders (which starts with a news bulletin) I think this is the most informative and interesting weekly news catch up on the box. @Dogs Breath, I like Insiders a lot, but my recollection is there is no news bulletin at the start of it. A clipshow of the week in politics is not the same as a news bulletin! Yeah I wasn’t sure whether I should include Sunrise and Today, but they do include news bulletins.